A resuable grocery bag was traced to an outbreak of norovirus that sickened members of a girls' soccer team in Oregon. The incident is raising questions, once again, about the cleanliness of the portable shopping bags that many consumers use to avoid the paper vs. plastic impact on the environment. “We wash our clothes when they’re dirty; we should wash our bags, too,” said Kimberly K. Repp, an epidemiologist with the Washington County Department of Health and Human Services in Hillsboro, Ore. Her work is published this week in the Journal of Infectious Diseases. Repp was an intern with the Oregon Health and Science University in October 2010 when she and other experts were asked to help unravel the mystery of sick soccer players and their chaperones. They had traveled north from Beaverton and Tigard, Ore., to Washington state on a Friday for a weekend tournament. Less than 48 hours later, nine people were ill with unpleasant symptoms including vomiting and diarrhea. The question was: How did they get it? One of the soccer players -- all 13- and 14-year-old girls -- had fallen ill on Saturday night and moved into the room of one of the parent chaperones. The pair went home early Sunday, with no further contact with other players. Even so, seven other people became ill within days, stumping scientists momentarily. Noroviruses are a group of viruses responsible for some 21 million cases of gastrointestinal illness a year, including 70,000 hospitalizations and 800 deaths. “It involved really thinking outside the bag, so to speak,” Repp said. Eventually, interviews revealed that most of those who became ill ate packaged cookies at a Sunday lunch. Where did the cookies come from? Turns out, the culprit was a reusable grocery bag of snacks left in the empty hotel room occupied by the first girl who got sick. Quickly, the puzzle fell into place. The girl had been very ill in the hotel bathroom, spreading an aerosol of norovirus that landed everywhere, including on the reusable grocery bag hanging in the room. When scientists checked the bag, it tested positive for the bug, even two weeks later. The trouble with noroviruses -- which cause an estimated 21 million cases of gastroenteritis a year, some 70,000 hospitalizations and 800 deaths -- is that they’re tough bugs that can live for prolonged periods on objects and surfaces, said Dr. William Schaffner, chairman of the department of preventive medicine at Vanderbilt University Medical Center in Nashville. 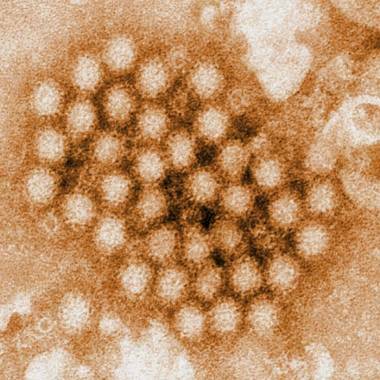 “Norovirus does have the vexing capacity to persist in the environment,” he said. 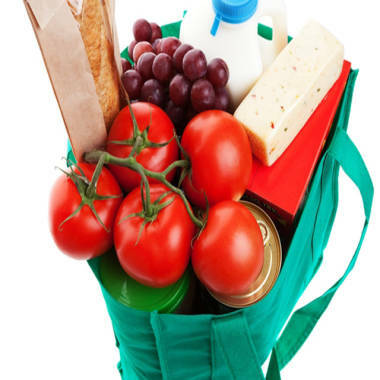 While the risk of contracting an illness from any particular reusable bag is low, Schaffner said, the Oregon study follows a 2010 paper by researchers at the University of Arizona and Loma Linda University that found large numbers of bacteria in reusable grocery bags, including 12 percent that were contaminated with E. coli. When scientists stored the bags in the trunks of cars for two hours, the number of bacteria jumped 10-fold. Some critics dismissed that study, which was funded in part by the American Chemistry Council, which supports the makers of some disposable plastic bags. But few have debated the study’s conclusion, which found that washing the reusable shopping bags regularly decreased contamination by 99.9 percent. “You could just wipe it down with Lysol or Clorox,” said Repp. Schaffner agrees. The most important tool to prevent norovirus, which spreads rapidly and infects quickly, is good hygiene, including careful hand-washing and thorough cleaning of the contaminated environment. “You could wash the bag,” Schaffner said. “Or you could start over with a new bag."